Wolfgang Amadeus Mozart was an Austrian composer of the classical era. He is generally regarded as one of the most influential composers in human history. His mother, Anna Maria Walburga (Pertl), was of Austrian descent. His father, Johann Georg Leopold Mozart, was a German composer, conductor, teacher, and violinist. His sister was musician Maria Anna Mozart. 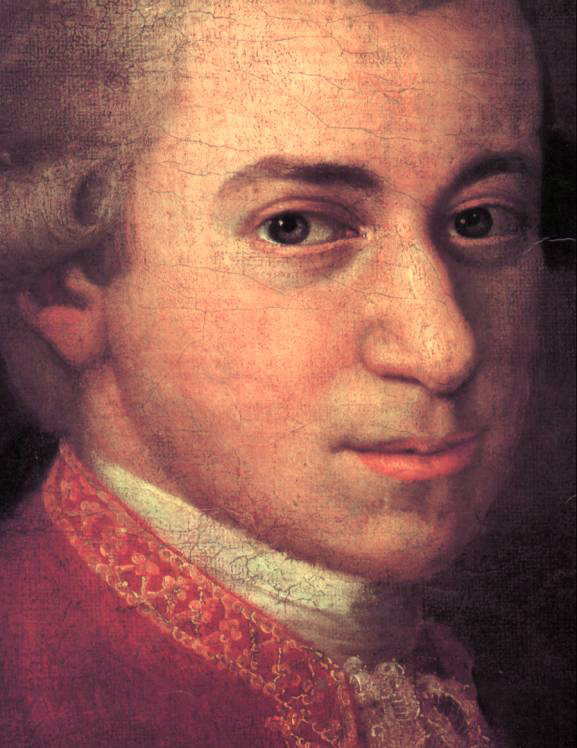 Wolfgang’s paternal grandfather was Johann Georg Mozart (the son of Franz Mozart and Ana Harrer). Johann was a bookbinder. Franz, a mason, was born in Augsburg, Germany, the son of David Motzhardt and Maria Negeler. Wolfgang’s paternal grandmother was Anna Maria Sulzer (the daughter of Christian Sulzer and Maria Dorothea Baur). Christian was born in Baden, Germany, the son of Johann Jacob Sulzer. Wolfgang’s great-grandmother Maria Dorothea was born in Augsburg, Germany, the daughter of Michael Baur. Wolfgang’s maternal grandfather was Wolfgang Nikolaus/Nicholaus Pertl (the son of Johannes Pertl and Magdalena Zachner). Johannes was born in Salzburg, Austria, the son of Bartholomäus Pertl and Ursula Schmidt. Magdalena was born in Kirchheim, Austria. Wolfgang’s maternal grandmother was Eva Rosina Altmann (the daughter of Dominik Altmann and Anna Sophia Zalner). Dominik was born in Eggenburg, Austria. Anna was born in Hallstatt, Austria. I now discovered that Johannes’ mother’s parents were not German. They were born in Lamprechtshausen, which is located in Austria, but the genealogy says it is in Germany. So the 1/8 German can be removed.